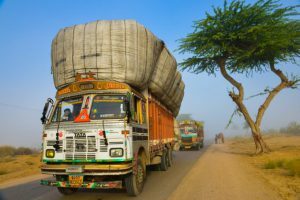 Indian supply chains are returning to normal, after striking Truckers and government authorities brokered a deal during their second round of negotiations late Friday evening in New Delhi. The All India Motor Transport Congress (AIMTC), which claims to represent nearly 10 million truckers nationwide, took vehicles off the roads July 20 to pressure the government to address their concerns regarding diesel fuel taxes, insurance premium costs, toll systems, and direct port delivery (DPD) services that they see as a disruptive factor. During the meeting, officials assured union representatives that the government remains sensitive to truckers’ demands and to that end, they said the Ministry of Road Transport & Highways will establish an expert committee to examine all core issues and provide recommendations in a definite time frame. Following that statement, AIMTC ended its eight-day strike, which had particularly hampered freight handling at some key west coast container ports — such as Adani Group-owned Mundra and Hazira, as well as APM Terminals Pipavav, trade sources told JOC.com. Officials at Adani Group were unavailable Monday for an update. The joint declaration also stated that the national insurance regulatory authority will soon hold talks with transporters to review issues tied to vehicle insurance costs. Further, the government offered to put in place, over the next six months, an innovative, technology-enabled system to mitigate congestion at toll plazas, for which truckers’ suggestions will also be taken into account.